SteamPro is a family-owned and operated business offering professional carpet cleaning services. We have been serving customers in the Lake of the Ozarks for over 10 years! SteamPro Carpet Cleaning has over 10 years experience in the carpet cleaning business. We offer a top of the line professional service at a price you can afford. The method we use is the method recommended by carpet manufacturers called Hot Water Extraction, which is also referred to as “Steam Cleaning”. This is the most proven method for removing deep down soil. Your carpeting acts as a big air filter, collecting dirt, dust mites, pet dander and other allergens. 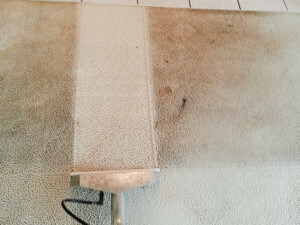 Over time dirt becomes attached to the fibers and can not be removed by regular vacuuming. We use a safe and effective pre-conditioner to loosen the soil that has become attached to the fibers, followed by hot water extraction. Using our high powered truck mounted steam cleaning system, all soil and any cleaning detergents are thoroughly rinsed away leaving your carpet clean, soft, and smelling fresh. By using a fresh soft water rinse, there are no chemicals left behind that can leave a sticky residue which causes re-soiling once we are gone. What Makes SteamPro the Best Carpet Cleaners in Lake Ozark? Some carpet cleaners over-wet or soak your carpet, leaving it wet for days. Our cleaning process dries much faster. We use a powerful truck-mounted system that has enough vacuum power to recover almost all of the moisture leaving your carpet only damp, not soaking wet like some companies. Typically it only takes a couple of hours to completely dry, sometimes as little as an hour. Other companies may leave behind a soapy residue, which dirt sticks to like a magnet. This is the reason your carpet appears to be just as dirty in only a couple of weeks time. We completely rinse the fibers with fresh water, leaving no residue. At SteamPro our goal is to give our customers the greatest carpet cleaning experience ever! We are confident that once you try us you will call us for all of your future cleaning needs. 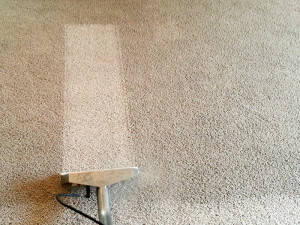 If you you are looking for carpet cleaners in Lake of the Ozarks area call us at 573-348-1995 to get a free quote today! We will do everything in our power to make sure you are more than thrilled with our service, your satisfaction is 100% GUARANTEED! Our service area includes Osage Beach, Lake Ozark, Camdenton, Linn Creek, Sunrise Beach, Lebanon, Laurie, Versailles, and Eldon.